Juan is based between Bogotá and New York City. December 3, 2017. Borikada, Resguardo Curare Los Ingleses, Amazon. 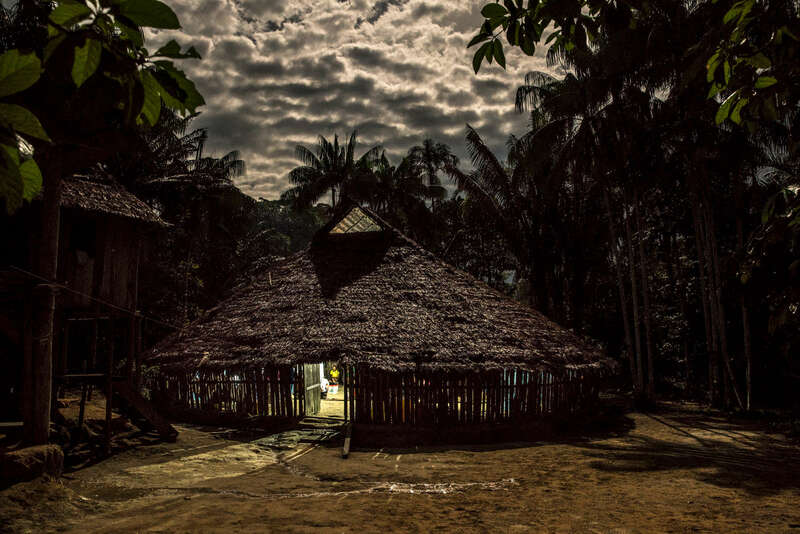 A view of the Maloka of the indigenous community of Barikada where members of the communities of the Resguardo Curare Los Ingleses gather to discuss matters of their community. Photo Credit: Juan Arredondo for Scientific American. All images are available in archival prints, in editions of 20 in the following sizes. Prices depend on edition and are furnished upon request.